Dental implants have been used to replace missing teeth since the mid-1960s, but in recent years their use has become much more widespread. If you are looking to get dental implants in Brooklyn you need to make sure you know what does the dental implant treatment involves. There are various complex procedures that need to perform therefore it is very important that you visit a trusted dentist for dental implants in Brooklyn. Here are some make steps listed by Brooklyn Blvd Dental experts for dental implant treatment. What does implant treatment involve? After discussing the potential courses of treatment open to you, your dentist or periodontist will conduct a thorough examination of your mouth. He/she will then take X-rays of your jaws to assess the shape and condition of your bone tissue and locate the positions of any important structures, such as nerves and sinuses, which may be close to the intended implant site. This allows the dentist to plan exactly how the implants will be placed. Rarely, if X-rays are not adequate, a computed tomography (CT) scan may be used to provide three-dimensional images, but this is an expensive procedure and exposes you to more radiation than standard X-rays. Implant surgery can be carried out using either a one-stage or two-stage procedure, depending on your particular clinical circumstances. In either case, the surgery involves making a small incision in the gum to expose the bone and using a special drill to shape the implant site. In the one-stage procedure, the implant is fitted into the prepared bone and then an attachment called a healing cap, which protrudes through the gum, is placed over it. This healing cap is removed after a 3-6 month period and replaced with a permanent attachment called the abutment, which takes the form of a post and core. The replacement tooth, or crown, is cemented in place over the abutment. In the two-stage procedure, a cover screw is placed flush over the top of the implant and the gum is sewn up over it for the period of healing. A second procedure is needed to uncover the implant via a small incision in the gum and attach the healing cap. Then, after the gums have healed, the healing cap is removed and replaced by the abutment, in readiness for the new crown. Two-stage surgery may be necessary if there is a need to increase the quantity of bone at the site with a bone graft or a bone regenerative technique. There are a number of reasons why there might be a lack of bone at the implant site, including long-term missing teeth, denture wear, and bone loss from periodontal disease, aging or injury. When teeth are missing, the surrounding gum and underlying bone shrink away over time. This is because, in health, the presence of our teeth stimulates the natural turnover, or renewal process, within the bone. When your gums have fully healed (after about 6 weeks), your dentist will take a new impression of your mouth. This will be used to make a model of your teeth on which the dental technician will construct your crown or bridge, paying special attention to achieve a natural finish that matches the rest of your teeth. When your new crowns and bridges have been prepared, your dentist will cement them on to the abutments over the dental implants, assess the appearance and fit, and check that your upper and lower teeth work together comfortably when you bite. You will usually need to return for several review appointments to make sure that the implants are stable and functioning well, and that you are completely happy with the finished result. 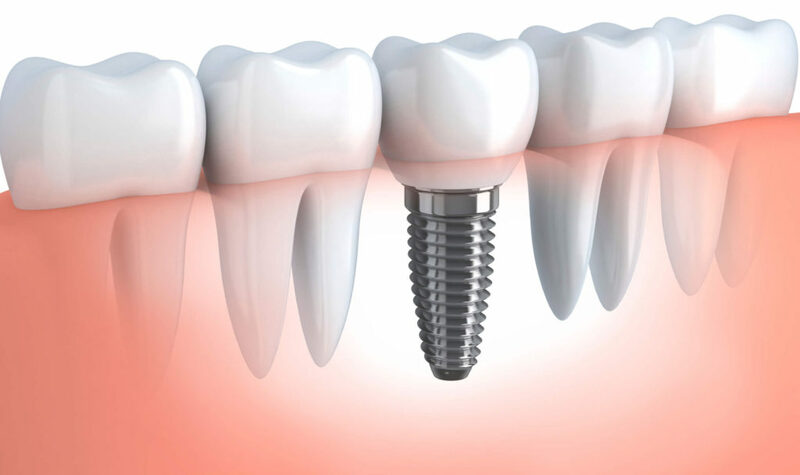 Visit or contact Brooklyn Blvd Dental for dental implants in Brooklyn.